ListPlex gives you the power of LISTSERV® in the cloud and allows you to host your email newsletters, announcement lists, discussion groups and email communities at one of L-Soft's data centers under your own domain name. With the Maestro Add-On, ListPlex becomes a complete cloud-based opt-in email marketing and analytics solution. ListPlex is quick to set up, with minimal up-front costs. 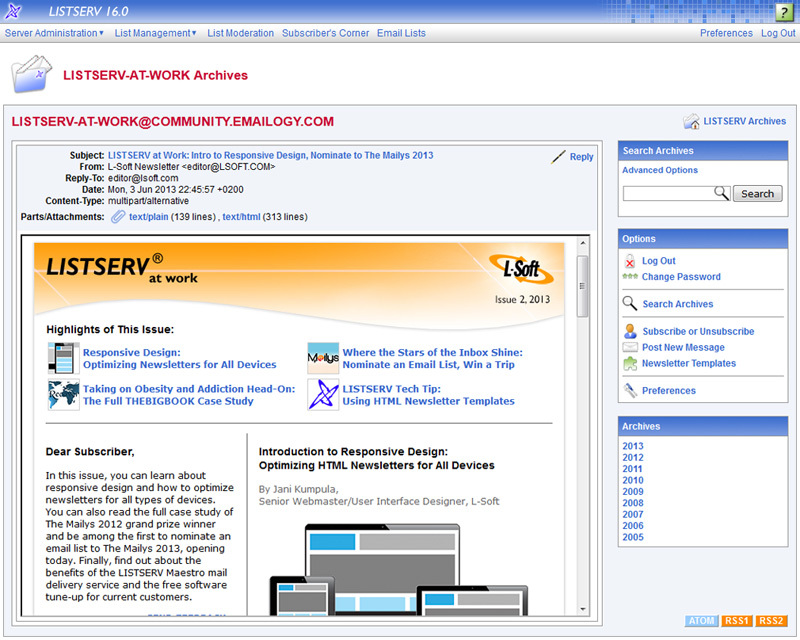 With ListPlex, you always have access to the latest LISTSERV features in a hosted service. 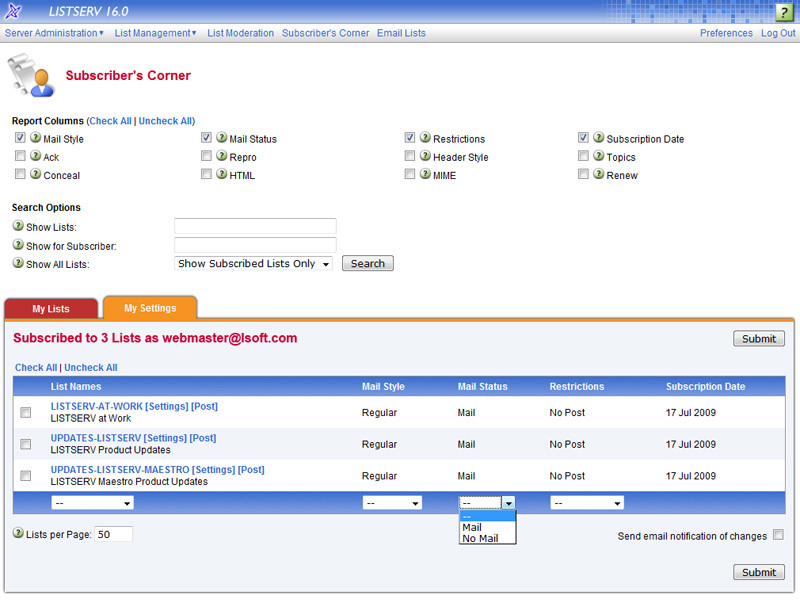 You can administer and control your email lists from anywhere using a web browser. Get your email lists running quickly and easily without having to spend time learning how to administer them. ListPlex enables you to create email newsletters, announcement lists and discussion groups with a minimal learning curve, ensuring a hassle-free hosting experience. Enjoy the broad benefits and results that email lists provide. 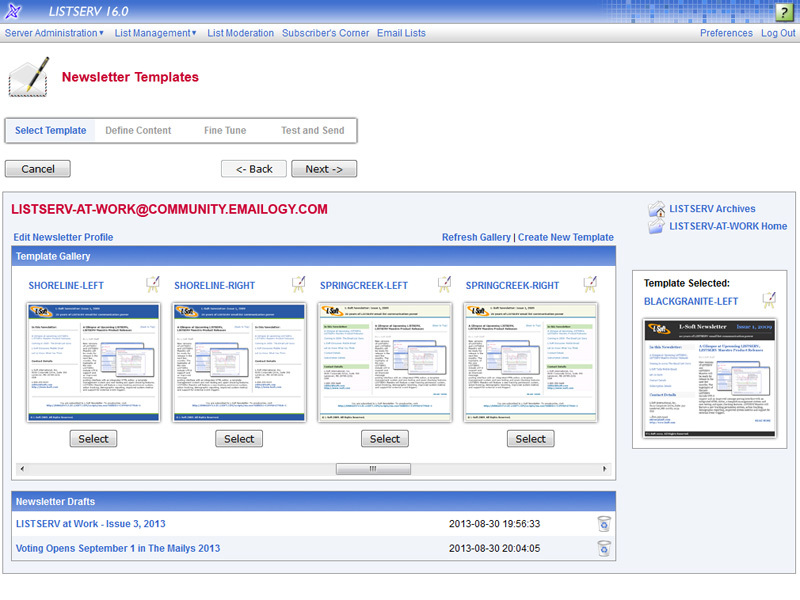 A large number of lists can be created to suit many different needs, including a mix of public and private lists. The customization capabilities of ListPlex enable a seamless connection with any existing brand or web presence. Make the most of your email list initiatives with L-Soft's high-performance hosting servers, engineered for maximum uptime, reliability and scalability. 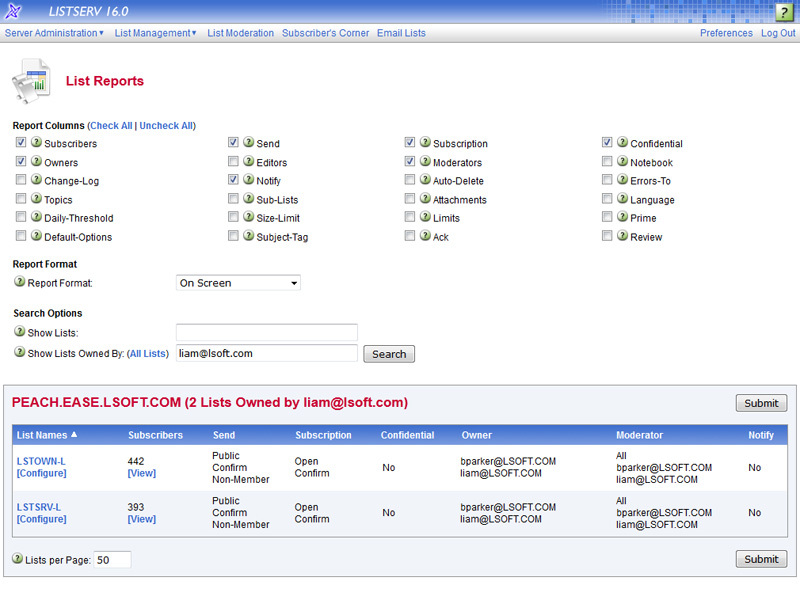 The service is ideal for small and large email lists alike. There is no workload, no matter how demanding, that ListPlex cannot handle. Rest assured that the password-protected interface keeps your email list hosting system completely secure and accessible only by you and your team. ListPlex is the only service of its kind with built-in virus protection, offering another layer of email list and subscriber protection.